The GT-R might be approaching its tenth birthday, but Nissan shows few signs of retiring its race track veteran. 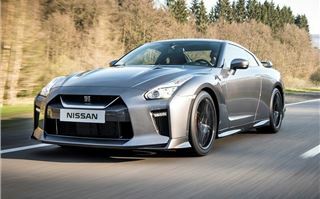 Instead the supersonic coupe is being given a new lease of life, with Nissan declaring this the GT-R's most significant overhaul since its creation, way back in 2007. The changes, however, are not what you might expect. There are no gargantuan increases in power, straight-line speed or track performance here. 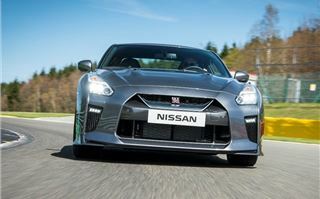 Instead, Nissan has pledged to make its track weapon more mature, with substantial improvements to refinement and comfort. If truth be told, performance was never a problem for the GT-R. The previous version could snap from 0-62mph in 2.7 seconds, while its top speed was close to 200mph. 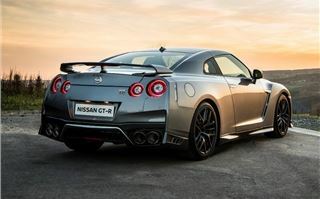 However, for all of its colossal speed and four-wheel drive cornering ability, the GT-R was found to be lacking on several fronts, with its poor refinement and below par interior being particular areas of criticism. With this in mind, it’s perhaps unsurprising that Nissan has given the GT-R's cabin a complete overhaul, with a new dashboard, redesigned seats and lots of hand stitched Nappa leather. The button count has also been cut - from 27 to 11 – to cut the messy and often confusing control layout of the previous car. As well as improving the fit and finish of the interior, Nissan has added a new eight-inch colour touchscreen and improved all-round refinement, with less noise and vibration making its way into the cabin. There is a new acoustic windscreen and improved dashboard insulation, while low-frequency noise cancellation speakers mask any unwanted sounds from disturbing the driver or passengers over a long journey. Technically speaking, the GT-R is a four-seater, but the tiny rear seats are tiny and unsuitable for adults. However, as a two-seater, the GT-R is spacious and comfortable, with lots of head and leg room. The new seats also provide better support, while the 315-litre boot will easily take a pair of large suitcases. 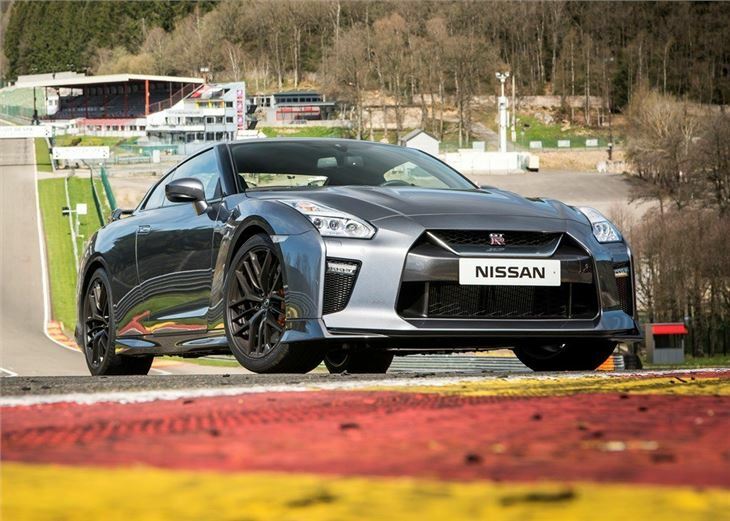 Obviously, no GT-R upgrade would be complete without some improvements in performance. 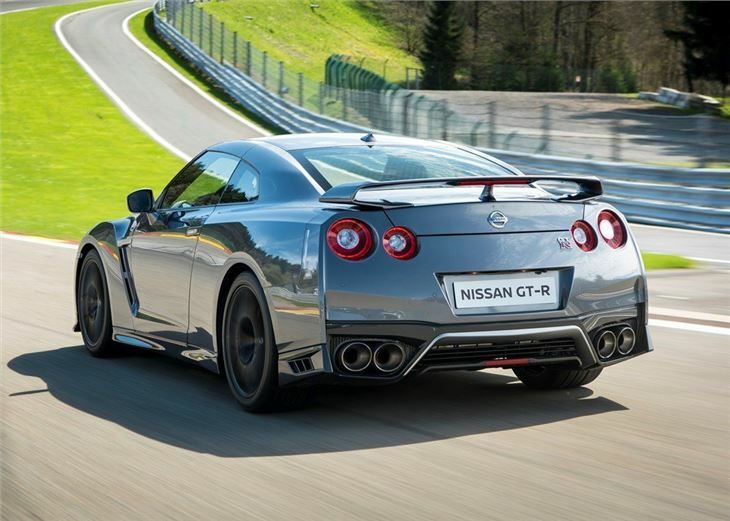 Under the bonnet the GT-R gets a more-powerful 3.8-litre twin-turbocharged V6, delivering 570PS and 637Nm. 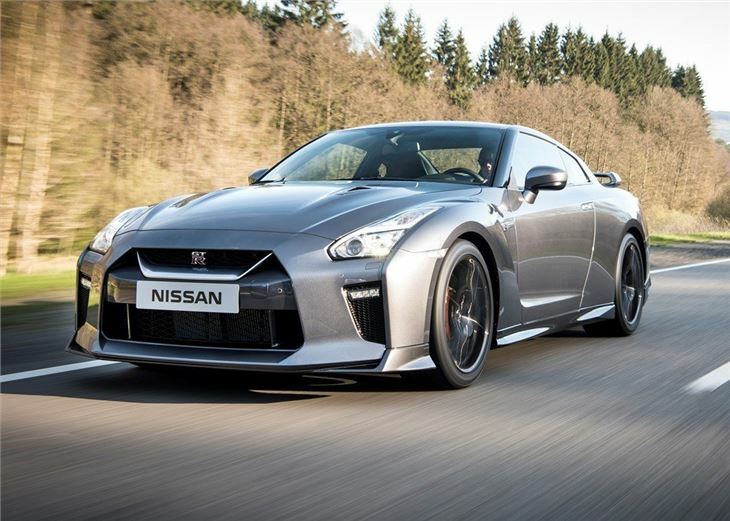 Admittedly, this is a marginal 20PS and 10Nm over the outgoing version, but the GT-R does feel more composed at lower speeds, with its six-speed sequential dual-clutch gearbox reworked to provide smoother up and down shifts. 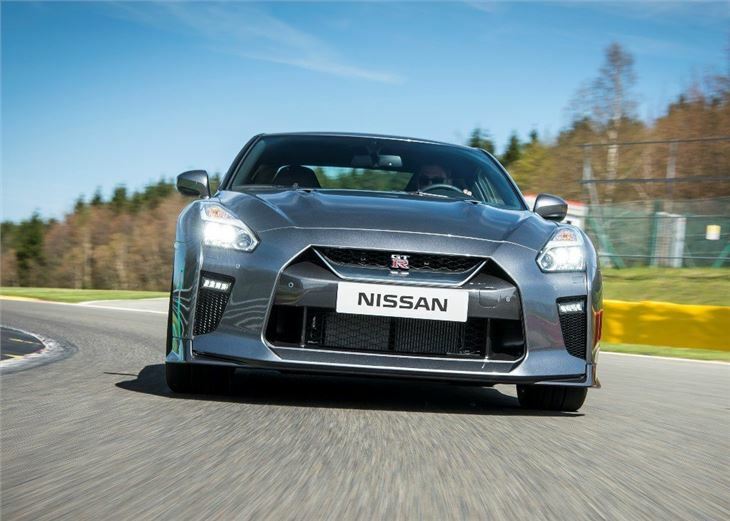 Nissan hasn't released any 0-62mph figures, but our track test indicated that acceleration and straight-line performance are almost iidentical to the previous car. 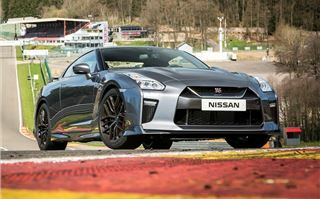 Cornering performance is better though, with a sharper turn-in and improved corning stability, thanks to an increase it chassis rigidity, while grip levels remain huge, owing GT-R's superb four-wheel drive system. That said most of the notable improvements in handling, ride and refinement are found at the lower end of the spectrum, with the GT-R feeling more composed and comfortable in and around town. We did note a few creaks from the transmission at 10-20mph, but the bumpy ride and notchy steering that blighted the previous GT-R at urban speeds have all but been eliminated. 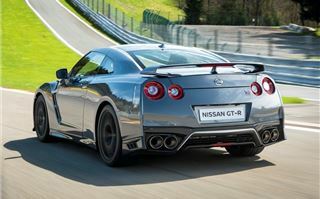 The GT-R's computerised nature and muted quad exhaust system might not appeal to all sports car enthusiasts though. 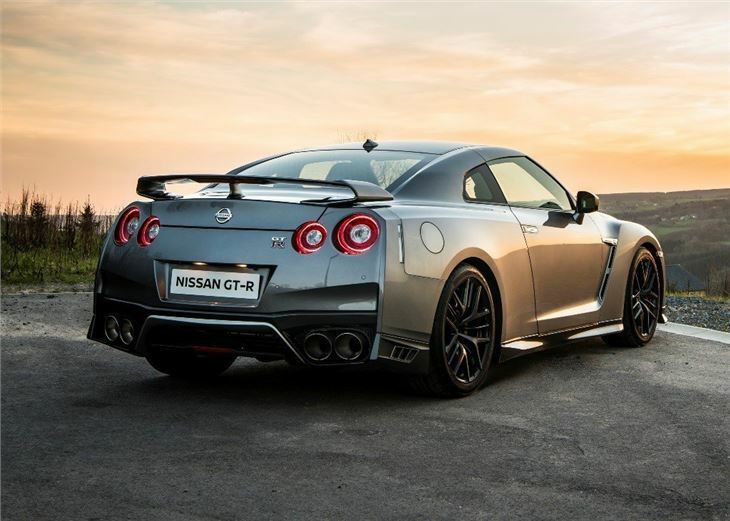 Nissan has attempted to inject some more audio life in to the engine by fitting a new titanium exhaust system, but we struggled to tell the difference, even after we'd activating the electronic control valve that is annoyingly located under the steering column. 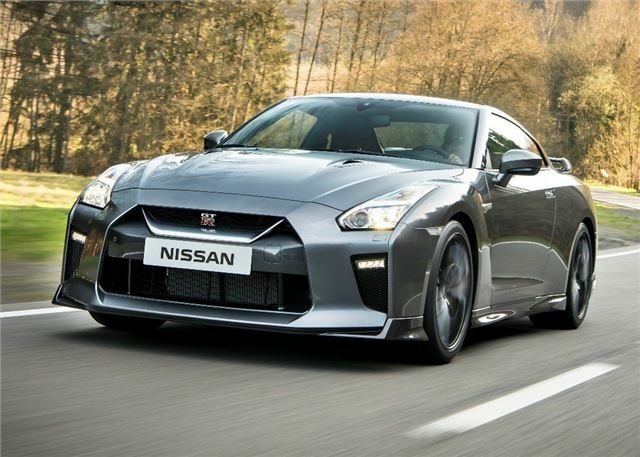 As with any sports car, the Nissan GT-R isn't cheap to buy or run. Official fuel economy is 23.9mpg with CO2 at 275g/km, but spirited driving will easily half that figure. Trim levels vary from the entry-level Pure for £79,995 to Recaro from £81,995 and Prestige from £82,495.